Daily New Jersey Transit commuter parking is available at the Bridgewater, New Jersey Transit Stop. The Bridgewater Transit Stop is located in the White Lot at TD Bank Ballpark in Bridgewater New Jersey. This New Jersey Transit stop is serviced by the Raritan Valley Line, providing service to Newark Penn Station with Transfer service to New York Penn Station and High Bridge, New Jersey. 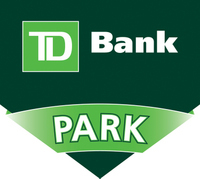 The White Lot at TD Bank Ballpark also features covered parking spaces, which are great for keeping your car cooler in the summer and the snow off your roof in the winter. WLABT is a self park facility offering daily and overnight parking, as well as quarterly, bi-annual, and yearly discounted parking options. For more information on schedules and New Jersey Transit, please visit www.njtransit.com. Most emails inquiries that are sent will be responded to within one hour, 7 days a week. © 2019 Somerset Patriots. All rights reserved.